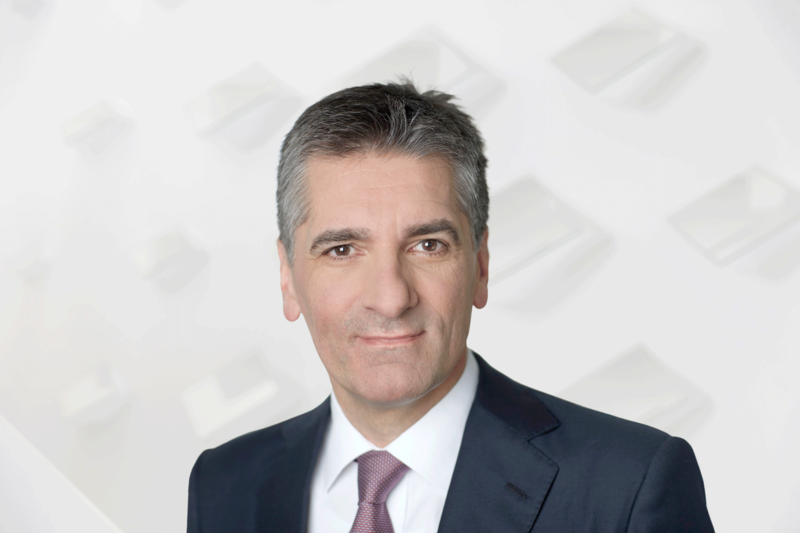 “In a phase marked by a market-led slowdown in growth, we were able to further strengthen our position in the various regions and gear our Group increasingly to the generation of sustainable and profitable growth in the years ahead,” explains Klaus Deller, Chairman of the Executive Board of Knorr-Bremse AG and responsible for the Rail Vehicle Systems division. “The primary focus of R&D work was on smart sub-system connectivity and increasing digitalization in the rail sector, as well as on boosting the efficiency of diesel engines and on predevelopment projects in the field of autonomous driving,” says Chief Financial Officer Dr. Lorenz Zwingmann. In 2016, investment activity focused primarily on the expansion of the Budapest plant; machines and equipment related to the introduction of new product generations; the new facility of the Company’s French rail subsidiary in Tinqueux near Reims; and equipment for the new Development Center in Munich. In fiscal 2016, Knorr-Bremse set the stage for growth. To this end, the company initiated seven acquisitions, the majority of which were also successfully concluded by year-end. In addition, the leading manufacturer of braking systems and provider of additional subsystems for rail and commercial vehicles again kept investments far higher than depreciation and maintained expenditures for research and development (R&D) at their existing high level. All of these measures targeted the expansion of the company’s systems portfolio and the strengthening of its global market position and innovative capabilities. Following on from record sales in the previous year, in fiscal 2016 sales showed a marketled downturn of 5.8% to EUR 5.49 billion (2015: EUR 5.83 billion). Adjusted for foreign exchange effects at actual prior-year rates, the decline in sales was just 1.9%. The main reasons for the downturn were weaker performances by the rail vehicle market in China, the rail freight sector, and the commercial vehicle market in North America. As a result of the drop in revenues, income before taxes fell to EUR 829 million (2015: EUR 977 million). Net income stood at EUR 550 million (2015: EUR 645 million), which equates to a return on sales of 10.0% (2015: 11.1%). Incoming orders were 1.0% up at EUR 5.72 billion (2015: EUR 5.67 billion). Orders on the books showed a clear 8.6% rise to EUR 4.15 billion (2015: EUR 3.82 billion). “In a phase marked by a market-led slowdown in growth, we were able to further strengthen our position in the various regions and gear our Group increasingly to the generation of sustainable and profitable growth in the years ahead,” explains Klaus Deller, Chairman of the Executive Board of Knorr-Bremse AG and responsible for the Rail Vehicle Systems division. “The acquisitions alone open up additional sales potential of approximately EUR 1 billion. With the opening of the new Development Center at our Munich plant, we are also in a position to successfully shape the major topics of the future in our industry, such as system connectivity, automated driving, digitalization, and energy efficiency,” Deller added. In the rail vehicle sector, Knorr-Bremse expanded its product range through the acquisition of the rail vehicle activities of friction material manufacturer TMD Friction and of the outstanding shares in the ICER Rail joint venture. With the acquisition of the Electrical Systems business unit (henceforth KiepeElectric) from Vossloh AG, Knorr-Bremse is adding advanced drive technologies to its portfolio, particularly for metros, light rail vehicles, and regional rail networks, but also for electrically powered commercial vehicles. The acquisitions of the UK-based GT Group and of the TRS transmission components business for on-highway commercial vehicles of Bosch in Japan open up additional growth opportunities in the commercial vehicle sector. With the acquisition of tedrive (henceforth: SteeringSystems) Knorr-Bremse has accessed the steering business and thereby also met one of the main preconditions for providing customers with an integrated longitudinal and lateral guidance system for automated driving from a single source. Early in September 2016, Knorr-Bremse also submitted an offer for the listed automotive supplier Haldex of Sweden. The aim here is to join forces with Haldex to expand the product portfolio particularly in the trailer brake and air suspension systems segment and actively drive forward the development of system solutions for automated and/or autonomous driving for truck-trailer combinations. The acquisition is subject to approval by the anti-trust authorities in the USA and the EU. Knorr-Bremse has already reached important milestones in this respect and is sparing no effort to drive progress in the clearance process. To safeguard its future and build on its market position, in the past financial year Knorr-Bremse invested a total of EUR 195 million (2015: EUR 210 million). Investments again easily outpaced depreciation which declined to EUR 179 million (2015: EUR 199 million). 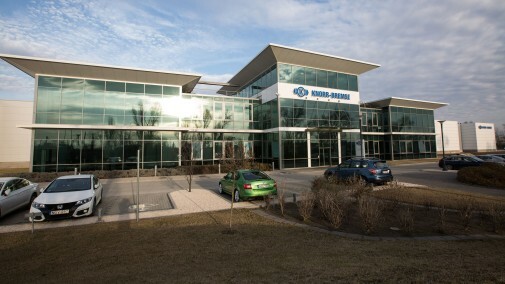 In 2016, investment activity focused primarily on the expansion of the Budapest plant; machines and equipment related to the introduction of new product generations; the new facility of the company’s French rail subsidiary in Tinqueux near Reims; and equipment for the new Development Center in Munich. Total expenditure on research and development and customer-specific development modifications amounted to EUR 328 million in 2016 (2015: EUR 347 million), which as in the previous year was equivalent to 6.0% of sales. This high level paves the way for Knorr-Bremse to actively shape the industry’s key future topics. The primary focus of R&D work was on smart sub-system connectivity and increasing digitalization in the rail sector, as well as on boosting the efficiency of commercial vehicle diesel engines, and on predevelopment projects in the field of autonomous driving. At year-end 2016, the Knorr-Bremse Group employed a total of 24,565 persons (22,221 excluding HR leasing). This equates to a year-on-year increase of 1.2% (2.0% excluding HR leasing). The European region employed 57.2% of the Group workforce: a higher percentage than in the previous year (53.0%). The proportion of the Group workforce in the Americas stood at 18.0% (2015: 19.7%) and in Asia/Australia at 24.8% (2015: 27.3%). At the six German plants in Aldersbach, Berlin, Dresden, Holzkirchen, Munich, and Schwieberdingen the number of employees at year-end increased to 5,044 including HR leasing (2015: 4,742). The Rail Vehicle Systems division posted sales of EUR 2.99 billion in 2016 (2015: EUR 3.34 billion). The development of sales revenues reflects the sharp drop in demand for high-speed trains in China and a cyclic slowdown in the freight car and locomotive business in North America. Knorr-Bremse was able to partly offset the decline in sales through further expansion of its commuter rail and/or RailServices business in these markets. At EUR 2.52 billion, sales at the Commercial Vehicle Systems division were slightly up on the previous year (2015: EUR 2.49 billion). The truck and trailer business in Europe and Asia, and in China in particular, showed positive development and offset the cyclic market downturn in North America. In the Europe/Africa region, sales climbed 4.2% to EUR 2.73 billion (2015: EUR 2.62 billion) in what was a generally stable market for rail and commercial vehicles. The Rail Vehicle Systems division was able to maintain its strong market position, not least by securing numerous major orders such as for the entrance systems for 445 double-deck cars ordered from Bombardier by Belgian rail operator SNCB, or for the upgrade of the braking systems in a total of 222 cars for Budapest Metro. The Commercial Vehicle Systems division’s achievements included building on its leading market position in the brake control segment. In the Americas, sales declined to EUR 1.22 billion (2015: EUR 1.43 billion). This represents a downturn of 14.9%. Nevertheless, Knorr-Bremse was able to secure substantial orders in the commercial vehicle sector: By way of example, International Truck became the first US manufacturer to install the most advanced driver assistance system, Bendix Wingman Advanced, as standard in its new LT truck series. Bendix also concluded critical longterm agreements with multiple commercial vehicle manufacturers. In South America, against the backdrop of the continuing economic crisis in Brazil, no positive impetus was forthcoming in either the rail vehicle or the commercial vehicle sector. Consequently, winning a long-term order from South America’s largest rail logistics operator, RUMO/ALL was all the more gratifying. This will involve Knorr-Bremse upgrading some 8,500 cars for the transportation of sugar cane by installing new, efficient brake equipment. Knorr-Bremse is also to have exclusive responsibility for maintaining the brakes over the next 15 years. In the Asia/Australia region, sales were down 13.1% to EUR 1.55 billion (2015: EUR 1.78 billion). This was primarily due to weaker demand for high-speed trains and locomotives in China. The commercial vehicle business, by contrast, made particularly good progress. Knorr-Bremse won a major order from India, where the Company is to supply the braking systems for 800 double locomotives belonging to state rail operator Indian Railways. The package also includes responsibility for servicing the brakes in 250 of the 800 double locomotives for a minimum of 13 years. Knorr-Bremse practices corporate social responsibility. Its social commitment is based on two pillars: Knorr-Bremse Global Care e.V. and Knorr-Bremse Local Care. As an independent charitable organization, Global Care supports people in need all over the world and in fiscal 2016 received EUR 1.92 million in funding from Knorr-Bremse. This enabled Global Care to reach out and help 52,000 people in need. Local Care covers all the local community activities of employees at Knorr-Bremse sites around the world. For fiscal 2017, Knorr-Bremse is anticipating a highly volatile market environment, owing to major geopolitical uncertainties as well as declining investment activity in important regions of the world. 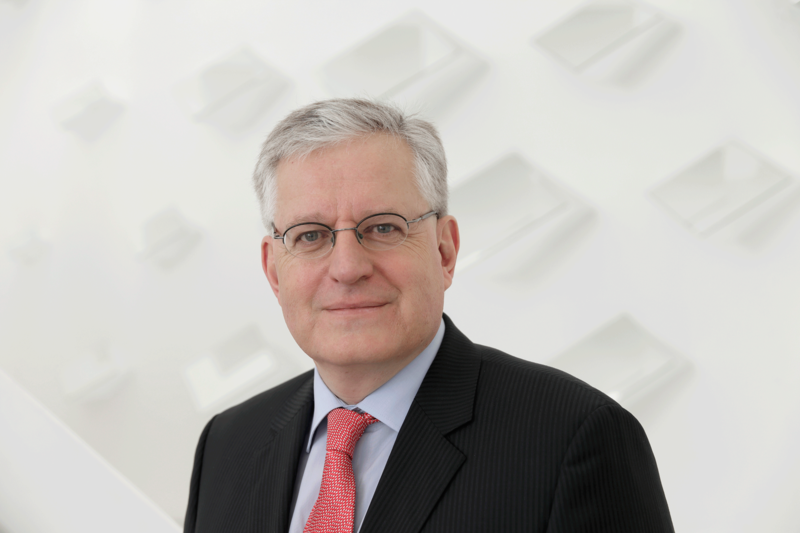 Overall, Knorr-Bremse expects to see moderate global economic growth. For the Rail Vehicle Systems division, Knorr-Bremse is forecasting largely stable development of the OE market in all regions, accompanied by growth in RailServices. For the Commercial Vehicle Systems division, Knorr-Bremse anticipates moderate global market growth.